Fifty-two percent of women over 60 aren’t married and nearly 70 percent of those over 75. What Social Security benefits are they entitled to? And what about single or divorced men? Photo by Jim McGuire via Getty Images. A. Price: One or two of us Americans are single or divorced [and we are also] eligible for Social Security benefits now or in the near future. Are you ever going to address the questions of this “fringe” population? Larry Kotlikoff: Glad you asked. I’ve addressed Social Security’s treatment of singles, but you’re right. Questions about married couples have taken up most of the space. Older America’s single population is, in fact, anything but “fringe.” Some 30 percent of males and 52 percent of females over 60 aren’t married. Past age 75, the number increases to almost 70 percent of females not married, the majority of them widowed. These figures also tell us that many currently “non-fringe” married people, particularly women, are likely to end up on the fringe. Hence, it’s important for almost everyone to understand Social Security’s treatment of single people and how single people can take Social Security’s best deal. If you were never married, the way to maximize your lifetime benefits is simple: Just wait until 70 to start taking benefits at their highest possible value. They will be as much as 76 percent higher than if you start taking benefits at age 62. But most of you on the fringe were married at some point. It is to you that the rest of this answer is addressed. If you are single and divorced and were married for 10 years, both you and your ex are entitled to a pair of benefits: survivor benefits and spousal benefits. Both are based on the other’s covered earnings record. For example, you can both wait until 70 to take your own retirement benefits, but each of you, upon reaching full retirement age, can apply just for a spousal benefit and thereby receive half of your ex’s full retirement benefit. If your ex is a high earner, this spousal benefit could amount to $15,000 per year for the four years you wait to take your own retirement. Indeed, it’s this Get-a-Free-Spousal-Benefit strategy that led to the “Ask Larry” column not long after I explained it to this page’s supposedly sophisticated proprietor several years ago. Paul Solman was eligible, but amazed that he knew nothing about this benefit. He realized that his audience would be similarly in the dark. Turning next to survivor benefits, you can start collecting as early as age 60. The amount of the benefits will be based on your deceased ex’s earnings record. When to start? The decision hinges on how long you think your ex will live, with the qualification that you could be wrong and your ex could survive even a hospice stay. The point is, if your ex is the much higher earner, and is highly unlikely to survive until you turn 70, it may be best to take your retirement benefit as early as possible. That’s because you’re going to end up with your ex’s survivor benefit instead of your own retirement benefit, because your ex earned so much more that your own retirement benefit will be wiped out by it. You get the higher of the two benefits, but not both. But for you divorcees, here’s the rub. You need to get your ex’s past and projected future covered earnings record to make a proper decision about when to take your own retirement and spousal benefit and then when to plan to collect your survivor benefit. Unfortunately, Social Security doesn’t give divorcees access to the earnings records of their ex’s. This is really unfair, since the knowledge is so important in making a sound decision. Perhaps the males who no doubt made up this no-access-to-the-ex’s-earnings-records-rule were worried that revealing this information would affect alimony payments. But well it should! So, I hereby urge all readers of this column to push their members of Congress to make this information available to divorcees so they can make informed choices. But let’s move on. Suppose you are widowed. You then have to decide when to take your own retirement benefit and when to take your survivor benefit. The path to maximizing your lifetime total is simple in theory, more difficult in practice: take one benefit before the other, based on which will ultimately be the highest. For example, if you take your survivor benefit at age 60 (assuming you’re already a widow or widower at 60), you’ll get a reduced survivor benefit, but your own retirement benefit will grow by up to 76 percent, assuming you wait until 70 to take it. But once you start taking both benefits, you’ll only get the larger of the two. So if your survivor benefit, even at its reduced level, exceeds your largest possible retirement benefit (what you can collect if you wait until 70), waiting to collect your retirement benefit will be pointless. Instead, you’ll be stuck for the rest of your life with a maximally reduced survivor benefit. In this case, it would likely be better to take your retirement benefit early and wait until full retirement age to take your survivor benefit, when it will be at its largest possible value. Two final thoughts. First, if you are married, waiting as long as possible to collect your retirement benefit will materially raise your future widow/widower’s survivor benefit. The second thought is offered in jest — and to make a point about the unintentional perversities of the Social Security system. If you’re older and single, you could theoretically arrange a Social Security marriage of convenience. That is, you would get married to someone in a similar situation and within just one year, you would both become eligible for spousal benefits on the other’s earnings record, though given Social Security’s benefit formulas, you can’t both collect spousal benefits at the same time. Will Social Security Benefits Increase This Year? By How Much? Kathleen Nicolai — Centennial, Colo.: I am 61, my husband is 63. I am retired; he plans to work at least four more years (until I can start receiving Medicare). There’s longevity in my family, not so much in his. I’ve been planning to take my Social Security when I turn 62, assuming (sadly) that he will die before I do, at which time I will start receiving his, which is higher. Do you think this is a wise move? What other things should we consider in our decision? My payment at 62 will be $1,430 a month; at 70, it would be $2,504 a month. His at 66 will be $2,135 a month; at 70 $2,825. I would really appreciate your input. 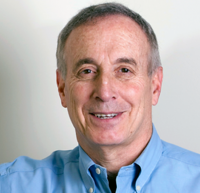 Larry Kotlikoff: Time for another of my mantras: We can’t count on dying on time. A corollary: Nor can we count on our spouses dying on time (not to suggest that you are hoping for that). Also, you really need to focus not on your husband’s life expectancy, but on his maximum age of life. Unfortunately, the downside scenario, economically speaking, is that you both live to 100. If that happens, you’d be cursing me were I to have advised you not to wait to collect much higher Social Security retirement as well as spousal and survivor benefits. So, your path to getting the most lifetime benefits from Social Security is to A., wait to collect, B., make sure you collect all available benefits, and C., make sure doing A. doesn’t undermine doing B. and doing B. doesn’t undermine doing A. And trust me, Social Security’s rules can lead to mistakes — not that they’re intentionally designed to do so, mind you; rather, it’s due to the system’s truly crazy complexity. But back to your situation. I think that if your husband could live to a very ripe old age, you should A., have your husband file for his retirement benefit at 68 and suspend its collection, B., have your husband activate his retirement benefit at 70, C., wait until full retirement age — 66 in your case — to take just your full spousal benefit, and D., wait until 70 to collect your own retirement benefit. This is my guess of what might be optimal. But to know for sure, you should run yourself through a software program that calculates your lifetime benefits for different maximum ages of life for both yourself and your husband. By the way, by having your husband wait until 70 to collect, your survivor benefit will be as large as possible if he does pass away before you. The reason is that your survivor benefit will equal 100 percent of what he was collecting when he died or, if he dies between full retirement age and age 70, what he would have collected had he applied at the time he died. If he were to die before full retirement age, without having collected his retirement benefit, the survivor benefit will equal his full retirement benefit.